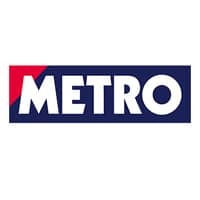 For the next three months out-of-home media owner Clear Channel is to make content from free daily newspaper Metro available via NFC at its 10,000 touchpoint ad panels around the UK. At the majority of locations, Metro’s content will be made available alongside that of the advertiser currently occupying the touchpoint and poster space, Clear Channel’s Matthew Walker told NFC World. “With a few exceptions you’ll be able to access Metro at all of our sites all of the time,” he said. “When you tap or scan one of our interactive tags with a smartphone you are directed to a landing page.